Beachgoer is the ultimate online surf and sand shop, featuring bodyboarding gear, surfing gear, and other watersports gear. Shop the top brands in bodyboarding, including Morey, BZ, Churchill and more. All orders over $49+ are shipped free. Ship with confidence with our hassle-free returns. We price match all major board retailers with our price match guarantee. See website for details. We're the #1 destination for all things bodyboarding, watersports and beach. Check us out today at Beachgoer.com. 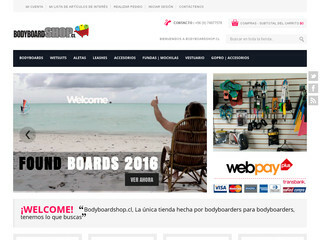 Visit the website of Beachgoer Bodyboard Shop now ! Beachgoer Bodyboard Shop , belonging to category "Bodyboard Shop"